MARTINSVILLE, VA (November 13, 2018) - The Chamber's Partnership for Economic Growth (C-PEG) is launching its application process for Startup Martinsville-Henry County for the 2019 round. Startup Martinsville-Henry County is an entrepreneurial mentoring program with an intensive eight-week entrepreneurial boot-camp program for startups and four-week boot-camp for growing companies. The application process is competitive and requires that applicants agree to the program guidelines. January 8, 2019, is the application deadline. Partners include C-PEG, City of Martinsville, Henry County, the Campbell Family Group and the George W. Lester, II fund through the Community Foundation Serving Western Virginia, Inc. Additionally, Appalachian Power is a sponsor of Startup and Grow Martinsville-Henry County, and American National Bank is the small business sponsor for Chamber and C-PEG events. 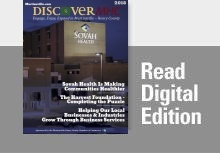 Since 2015, when the initiative originally began as Startup Martinsville in the Uptown Martinsville area with a Community Business Launch grant from the Virginia Department of Housing and Community Development, the geographic area has grown to include the entire footprint in the City of Martinsville and Henry County thanks to support from both locales and private sector funding. To date, the initiative has successfully graduated 103 individuals from its training program, awarded 27 businesses with over $170,000 in cash and in-kind funding. These businesses have created over $800,000 in new capital investment and created 90 new jobs. C-PEG partners with Patrick Henry Community College to deliver the entrepreneurial boot camp sessions as well as Longwood’s Small Business Development Center, SCORE and the Martinsville-Henry County Economic Development Corporation and a host of staff from the City and County, local entrepreneurs and business experts. Mayor Gene Teague said, "We are pleased with the progress of our entrepreneurial development efforts and Startup Martinsville-Henry County is a great example of how our partnership with CPEG is continuing to be beneficial to our entire community." Jim Adams, Chair of the Henry County Board of Supervisors said, "Henry County is pleased to continue to support this effective small business initiative. The program consistently demonstrates that it is an effective way to build entrepreneurship in our community." The application packet is available online at www.martinsville.com/startup. Please contact the Martinsville-Henry County Chamber of Commerce with any questions at 276.632.6401 or mhccoc@mhcchamber.com. Martinsville-Henry County Chamber's Partnership for Economic Growth (C-PEG) is an independent, yet closely aligned, charitable affiliate of the Martinsville-Henry County Chamber of Commerce. C-PEG is charged with funding and supporting the area's efforts to improve economic growth. Special thanks to our Startup sponsors. Entrepreneurial Assessment - Are You Ready for Your Own Business?